Certainly that all you moms out there can appreciate a warm knit sweater like any other. I don't know about you but as I've gotten older, I've fallen in love with comfortable clothes. Knit sweaters are my jam and so is bargain shopping! I have both thrifted and new knit sweaters in my closet and I love good quality ones that will stick around for a long time and can withstand the daily routine of a mom on the go or just a busy, busy gal. I want to start sharing all those tips and bargains that I personally love and look for when shopping with you here today. Its a little out of my comfort zone of course, but this is something that I love to do when I'm not getting my hands dirty. This Fall weather is finally kicking in around our parts and I look forward to wearing all my sweaters in the Fall and through Winter but I also love to shop a good bargain when I see one. Especially if its great quality at a fair price. Muted colors are my favorite, I like to stay in this color group usually because I wear a lot of neutral tones or jeans and a tee therefore the muted tones for me are easy to wear and versatile. 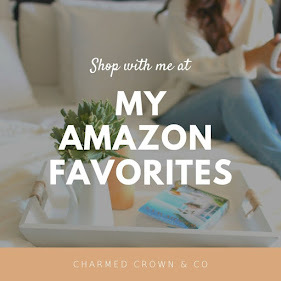 For me personally, I love shopping online because I hardly have the time to browse at the store, not to mention usually online you get first dibs on the best deals. Many of you can relate I'm sure and promo codes are almost always available on most sites. If you're like me then I hope you find these deals to be a steal and don't be afraid to ask me any questions. This is also a great way to start shopping for the holidays, whether you're shopping for a friend, a loved one or simply for yourself because there's nothing better than shopping for you. I am looking forward to sharing many more favorite styles and sharing a few that I buy for myself on Instagram stories as well. So make sure to follow. Such a beautiful blog. Even though, I m not your target audience - I can appreciate the quality of your work. Very impressive! Thank you for sharing these tips! I struggle with finding things to wear after becoming a mom so I can’t wait to hear more from you! Rachael I'm glad you think so and I'm encouraged to share more! I also found it a struggle to find things to wear after becoming a mom. First it was the limbo while you still look pregnant. Then the breast feeding created an obstacle. Now practicality has become just as important as stylish. To be honest at the end of the day its about what you feel you look best in and feel good in it, I was the same way and now realize that I'm most comfortable in the simplest form of fashion, yet still stylish without too much effort. My wife will surely love these cardigans for sure! I'll have to share it with her. Such beautiful items! I love a good cardi! Thanks Belinda, make sure to buy yourself one asap! I LOVE Fall because of all the great sweaters! These are all great finds! Thanks, there were so many, but I had to narrow it down, and yes definitely great deals! I love fall and winter fashion, the season when I indulge the most into shopping clothes. Some nice sweater and cardigan recommendations, Gap and Abercrombie are one of my favorite go-to brands. Will check these out. That's great and you can't go wrong this time of year when all the great quality brands have these sales, aren't they great?! I love all of these picks! I'm such a sucker for a cute cardi during the cooler months and I see a few I want already! Danielle, I hear ya, so am I. I wish I could buy them all! But these were definitely some of my favorite, glad you found a few you like as well! I am sucker for a cozy sweater, even though I don't need it that often since it doesn't get that cold where I live. My favorite one has to be the one from Target. That Target one Luci is a great one, and its sold out in most stores, so hopefully anyone that wants it can still get their hands on it. Me too, give me all the affordable bargains right?! Honestly that's how I prefer to shop!